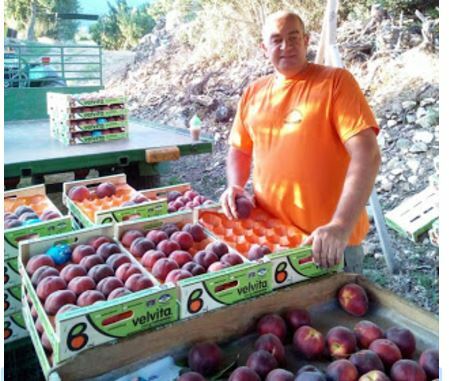 Antonis Zigos, a peach producer and vice-president of ASEPOP Velventou, helped to develop ASEPOP Velventou into one of the most pioneering and strongest agricultural cooperatives in Greece. He has never regretted his decision to work exclusively with the primary sector. «If I could turn back time I would only change one thing. I would not just study my chosen subject in theory, but mainly in practice, as is the case abroad», he stresses to «ΥΧ» ο Αντώνης Ζίγκος, ροδακινοπαραγωγός και αντιπρόεδρος του ΑΣΕΠΟΠ Βελβεντού. «Knowledge and information», he notes, «are very important for a farmer. They help him to evolve continuously.». Although he did not graduate from any university, the 50-year-old producer did not confine himself to his family farm as it was, but he developed it significantly. He cultivates 80 hectares in Velventos, and mainly grows peaches and nectarines, but also a few apples. The co-operative has played a major role in the entire business. However, he did not rest on his laurels, as he also attended seminars and special projects for farmers. «Today, young people can obtain agricultural training, but we are missing training at a more professional level» he says. In addition to the importance he gives to education, encouraging younger people to obtain knowledge, the driving force for a farmer is to love his work. “”It is my choice, and I love what I do. And, especially cultivating trees, the work is not at all monotonous as it constantly evolves, so you evolve with it, “”he says. So, if someone is equipped with the appropriate technical knowledge, he will have all the tools to work and develop even more». The main characteristic of a modern farmer, however, is that he participates in a collective scheme. «For me, it is the most important thing», he says. «Because in Greece we have small and multifaceted plots, unlike our competitors abroad. But with these organisations we can turn this disadvantage into an advantage». As he explains, «In this way economies of scale can be achieved. Small producers who join together are like one big producer, and their products are clearly better quality than others, as we in Greece only have to take care of a small farm, unlike our competitors who are not so interested in quality». This year, ASEPOP Velventou celebrates 100 years of activity, and it has now become one of the most pioneering and strongest agricultural cooperatives in our country, with a significant presence in the domestic market and strong export activity. 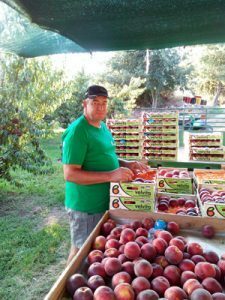 Antonis Zigos is one of the peach producers in the region who contributed to this effort, since, as well as his farming work, he has been actively involved in managing the cooperative since 1997. He was elected vice president at the last election. «Particularly today, with the financial crisis, our cooperative society is a great source of financing», says Zigos. For example, it provides its member producers with agricultural supplies on credit, which helps them to cope as they are paid once at the end of each year.